Marine Plastic Pollution: What Can We Do About It? The problem of ocean plastics isn’t something new: it’s been known to have a serious effect on marine mammals for the past few decades. Yet it is only recently that we learned, society as a whole, that we humans cause more marine pollution than previously documented. Plastic bottle rings are not the only major plastics polluting the ocean, contrary to popular belief. 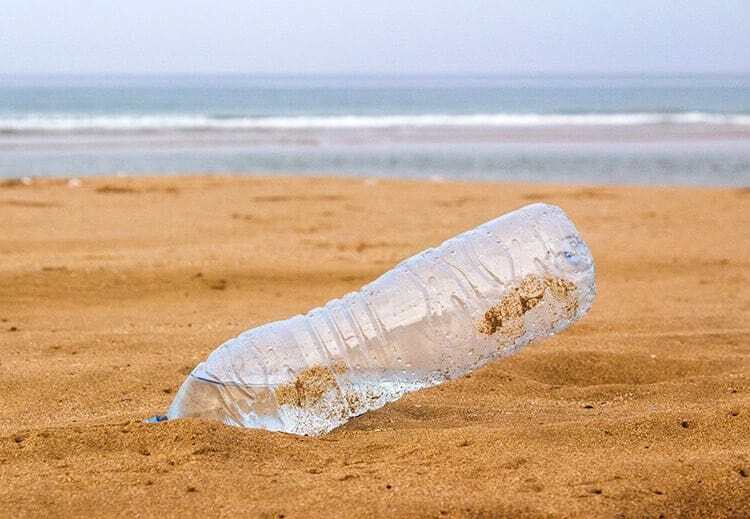 Plastic water bottles, straws, chip bags, and cigarette butts are also swept into the ocean. When 80% of marine plastics originate from land, this is no laughing matter. According to Our World in Data, the other 20% is no better: fishing nets, lines, and poles from fishing industries are dumped into the oceans. From Land to Sea: How Does Plastic End Up In Our Oceans? But how does plastic on land end up in our oceans? One way plastics are swept into oceans is by leaving them, like chip bags and water bottles, behind on beaches. When the tide rises, or the wind or rain dislodges these plastics, they are swept into the ocean. Another way is when someone litters on the side of the road. Littering on the side of the road, even when you’re not anywhere near a beach or open water, can still move the waste into the ocean. Rainfall sends discarded litter – like plastic cup lids, newspaper, and cigarette butts – in the drains. And when these plastics reach open oceans, marine mammals often mistake floating pieces of plastic for food. These plastics look similarly like the food they’d eat – but they just do not know the difference. When these animals ingest them, the plastics obstruct their stomachs. They think they’re full – when in fact they received no nutritional value from the plastics. These animals often become severely malnourished, bloated, and worse – injured from the sharp plastic edges that cut their stomach lining. Internal bleeding leads to death. How does marine plastic pollution affect us? The unfortunate truth is that worrying about our marine mammal friends’ health may be one of the last things we think about on a day-to-day basis. When we’re rushing to work, waiting for the bus, and worried if we’re going to make it work on time during rush-hour traffic, we often aren’t thinking about ocean plastics and the health of these animals. But one easy way to remember what we do has an impact on the animals, is by thinking of the plastics we end up ingesting when we eat seafood. Microplastics, although rarely cause harm to animals by themselves, are a danger to our own health. Imagine eating seafood that has minute flecks of plastic – that we threw into the oceans ourselves! If plastic isn’t good for us to consume – then it shouldn’t be good for animals, any animal – marine or land – to consume. So if we take better care of our littering and disposal habits, we may be able to curb plastic pollution from further reaching our oceans. The food we eat will be insurmountably healthier, without microplastics. And these animals will be able to flourish in their ecosystems without dying from plastic-related deaths. What can we do to reduce marine plastic pollution? There are many ways to help prevent and reduce marine plastic pollution. Some of these ways can be as simple as throwing your garbage away properly. Instead of throwing your plastic bottle or coffee cup on the street, or just a few feet away from a garbage can, place it inside the can. This will prevent wind and rain from transporting your waste into waterways, like sewage systems. If the bins are full – often during busy beach days – then find another place to dispose of them, or take your garbage home with you to throw out. Garbage left lying around, unsecured can be torn apart by seagulls and other animals, spreading the litter around. The litter then will end up blown into the ocean. Another way is to use less plastic on a day-to-day basis, whether by reusing more or reducing your use of plastic products. One popular way to help reduce marine plastic pollution is by organizing a cleanup! This could be a great team activity for your office or workplace, or even for schools. Spend some time picking up litter by your home, school or work, or the beach if you have one nearby. Because of the different ways, waste can end up in our water streams, all efforts to reduce litter is equally important. Together – we can reduce waste going into our water streams, and make our world a more sustainable, healthier place to be. This post is part of our community blog initiative. Canadian Mattress Recycling is regularly posting new blog posts about environmental issues that impact British Columbians, and the world. This month’s post is written in support of the Ocean Legacy Foundation, an international non-profit organization that uses geospatial mapping, research, and expeditions to help clean-up marine waste. 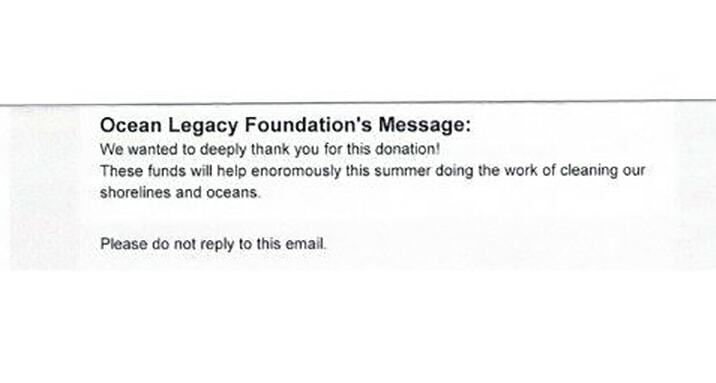 We are pleased to have supported the OLF since 2016, donating $900 to the foundation to help clean up our BC shorelines and the Pacific Ocean.